Welcome to Pacific Heights west. Developed beginning in the 1910s and 1920s on land that once belonged to Adolph Sutro, it’ll make it clear right away that you’ve arrived in San Francisco’s flagship residential park. The construction craze of the era featured the best of city amenities (sidewalks, street lights!) with wide streets, clear neighborhood boundaries, and plenty of green parks for play within the neighborhood. St. Francis Wood is a strictly residential area, with wide streets, large lots, stately homes, and plenty of open green space. It’s a world away from the attached or semi-attached homes of the surrounding neighborhoods, but so close to West Portal and the commercial corridor on Ocean Avenue. Grand homes line wide, leafy streets in St. Francis Wood. Spanish Mediterranean influences are common, with many stucco homes topped with terracotta roofs. A homeowners’ association governs the look and feel of the neighborhood, so it looks today much like it did over 100 years ago when it was established. For commuters who work downtown, the West Portal Muni stop is within walking distance, while commuters headed to Silicon Valley will find that the location provides almost immediate access to I-280 down Junipero Serra. 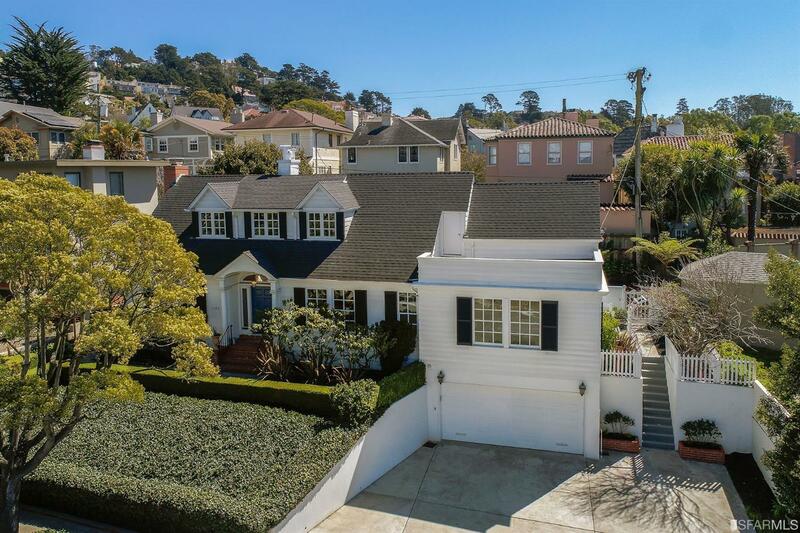 The large lot sizes and fully detached single family homes of the St. Francis Wood neighborhood are in strong contrast to most San Francisco neighborhoods that have homes that are semi-attached on smaller lots, with a mix of single-family homes, condos, and unit buildings. St. Francis Wood homes aren’t known for their views, but instead for their generous sizes and “family-friendly” neighborhood reputation. That said, depending on where the home is located, it may have a stunning partial or full ocean view, at least on days where the fog has burned off. There are also several parks and open spaces within the neighborhood that are for the exclusive use of the neighborhood. Homes in St. Francis Wood are subject to neighborhood covenants, conditions, and restrictions (CC&Rs) that govern property use and property appearance. In addition, neighborhood homes are subject to an annual HOA fee to pay for the communal neighborhood spaces.